Senior officials say US likely to officially recognize Israel's annexation of Golan Heights - possibly as early as next week. The White House may be preparing to recognize Israeli sovereignty over the Golan Heights, say senior Israeli officials, suggesting that an announcement regarding recognition could come as early as next week. According to a report Thursday morning by Israel’s Channel 13, senior Israeli officials believe the Trump administration is preparing to formally recognize Israeli sovereignty over the Golan Heights – ending a decades-long US policy of non-recognition of Israel’s annexation of the strategic plateau. The officials cited by the report say the US could announce plans to recognize Israeli sovereignty over the Golan as early as next week, coinciding with Israeli premier Binyamin Netanyahu’s meeting with President Donald Trump in Washington, during the annual American Israel Public Affairs Committee conference. Israel captured the Heights from Syria during the Six Day War in June, 1967, after the Syrian army used the strategic high ground overlooking the Galilee to attack Israeli towns and farms. From 1967 to 1981, Israel administered the Golan Heights via military law, mirroring the system used in Judea, Samaria, and the Gaza Strip. Roughly two-thirds of the Golan Heights remained under Israeli control following the 1973 Yom Kippur War and creation of a demilitarized zone between Syria and Israel. In 1981, however, the Menachem Begin government applied Israeli law directly to the Golan Heights with the Golan Heights Law, effectively annexing the territory to the State of Israel. The United Nations and major world powers, including the US, Russia, and European Union have hitherto refused to recognize Israel’s annexation of the Golan. Since the outbreak of the Syrian civil war in 2011, however, some US lawmakers have called for the State Department to recognize Israel’s annexation of the Golan. Last year, Senators Tom Cotton (R.-Arkansas) and Ted Cruz (R.-Texas) proposed a resolution endorsing recognition of the Golan as sovereign Israeli territory. Earlier this month, the State Department signaled a change in policy towards the Golan, dropping references to the “Israeli-occupied Golan”, referring to the territory instead with the more neutral phrase “Israeli-controlled”. "Like it or not, the Golan Heights are Syrian territory." "Israel cannot give them up now given its legitimate security concerns. But to recognize Israel’s annexation of territory that is not its own is to play with fire for partisan political purposes. No Arab state will accept it," Indyk tweeted. 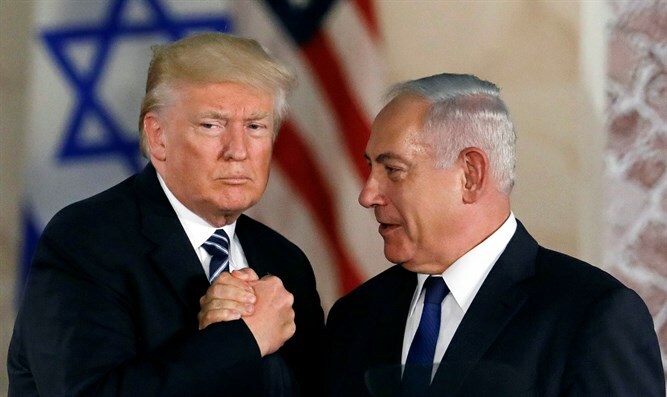 "It would also contravene the 1974 Israel-Syria Disengagement Agreement, which Netanyahu and Putin recently invoked to govern the resumption of Syrian government responsibilities on the Golan border with Israel."